With all the news lately in the press about the changes to the newspaper publishers, Newsagents are ready for the challenges associated with this change. For many years now Patterson Road Tatts News and Post has been changing the way we do business… developing our Lotto and Australia Post outlets to offer longer hours and great customer service. Our monthly print and email newsletters, in-store competitions and extra offers via our website, have all seen Patterson Road Tatts, News & Post lead the way through a difficult time in retail. Our distribution business sees us home delivering almost 5000 newspapers each morning and supplying around 100 small businesses and schools. We ask that you continue to support us in the way you have over the past 21 years that we have been in Patterson Road and we look forward to becoming an even stronger retail and distribution business into the future. So remember… keep buying those newspapers and keep supporting the Newsagency industry. Remember, we are a local, convenient, family run business that truly values your support. 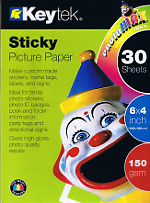 This month with every purchase in store of any ink cartridge you receive a free packet of Sticky Picture paper sheets. 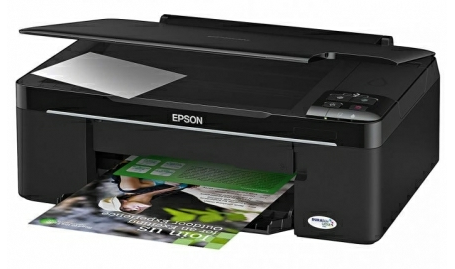 You will also go into the draw to win an Epson Stylus NX 130 Multifunction Printer, as pictured below. Don’t miss this great opportunity to win a new multifunction printer, together with enjoying our fantastic inkjet printer cartridge prices. 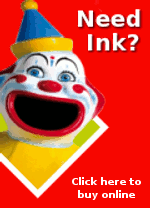 Remember you can also order on-line at www.pattersonroad.com.au/ink and have your cartridges delivered to your door. In July we are pleased to at last finish our new Hallmark shopfit. Our new display of the fantastic Hallmark card range is now complete and we are very excited about offering you a whole new range of cards and gifts. 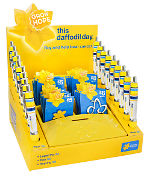 Support The Cancer Council’s Daffodil Day, Friday 24th August, by making a purchase from the selection of lapel pins, pens and key rings on sale from Monday 16th July through to the end of August.